June | 2017 | BollyWood News……. A long long time ago in the kingdom of cliched cinema, a rich man’s daughter falls in love with a poor stable boy. He is killed by her father for that crime. Decades later, his bhatakti aatma returns to claim the heart of her granddaughter. We are told the young lady is her naani’s carbon copy and, as fate would have it, already engaged to her childhood friend at the point she meets the aatma. What happens thereafter is not what you might expect, but I am not wasting time getting into the nitty-gritty of the story because, frankly, that would amount to beating about the bush. Overriding fact: this film is awful. It is a romantic thriller, but no twist in the end, nor even Amarjeet Singh’s slick camerawork in the picturesque English and Welsh countryside, can compensate for the all-round godawfulness, the inertness and the dated storytelling that constitute Ek Haseena Thi Ek Deewana Tha. Producer-director Suneel Darshan’s latest venture marks the return to Bollywood of music director Nadeem Saifi, and Darshan’s second attempt at giving his son Shiv an acting career. Nadeem’s compositions for the film are passably melodic while they last, but too generic to be memorable. The Nadeem who has churned out songs for Ek Haseena Thi EDT is not worthy of the reputation enjoyed by the man who made the blockbuster music for Aashiqui and Dil Hai Ki Manta Nahin as one half of Nadeem-Shravan in the 1990s. Like this film, his work too seems stuck in time. It speaks volumes about the pathetic quality of Ek Haseena Thi EDT that the music is still one of the nicer things about it. The highlight of the film’s horrendousness is Shiv, a milky-skinned gentleman whose expressionlessness resembles the blankness of faces we see these days Botoxed into immobility. I understand paternal devotion. I do. But to expose your child’s absolute lack of talent before the world is not love. There is no kind way of saying this, so I may as well not mince words: Shiv cannot act. The only saving grace for him in this film is that Natasha Fernandez is almost — though not entirely — as bad. Instead of advertising itself as a film, Ek Haseena Thi EDT should have considered promoting itself as a contest for pathetic acting between Darshan Junior and Fernandez. Their co-star Upen Patel is no Robert De Niro, but he comes off looking comparatively impressive in the presence of these two and made me wonder whether he might show some spark in a better film. Pretty Ms Fernandez struggles to work her facial muscles, poses around (clearly at the behest of her director) and delivers dialogues in an amusingly strained fashion. Her Hindi diction is awkward, she even says tukraana for tthukraana. And director saab did not deem it fit to correct her before demanding a retake? Perhaps Darshan was too busy focusing on getting the wardrobe and makeup departments to package his heroine to perfection so that she could be draped on his son. The problem lies not just in a father prioritising his offspring over all else, but also in this team’s questionable attitude to women. For instance, the good guy in Ek Haseena Thi EDT is positioned as a good guy although he thinks nothing of kissing a sleeping woman who does not know him; and when one man asks another for a birthday gift, the other guy points to a woman, as though he had purchased her from a shop. Her outburst in the end, about the right to make her own choices, comes as an obvious afterthought, inserted there by writers who want to camouflage their narrow-mindedness in a changing world. To be fair to Darshan, although he has enjoyed tremendous commercial success, he has at no point been viewed as a great artist or a liberal by serious Bollywood gazers. That said, nothing in his filmography is a match for the vacuity of this film. Ek Haseena Thi EDT is so terrible, it is riveting. (Spoiler alert, for those who still care) It is not a fantasy flick, nor does it belong to the mythical/mythological genre, yet at one point, a man reveals — with a perfectly straight face — that after an accident, he prayed to God for a few extra days on Earth and God granted him 14. What calculation did God make to arrive at that precise figure. Was God a voice in this fellow’s head? Did s/he appear in flesh and blood? Did they chat on Skype? With nothing happening on screen, I busied myself with these profound questions. I also briefly considered headlining this review thus: Ek haseen critic thhi, ek khokhla film thha. Days before the release of a film, the idiosyncrasies of Ranbir Kapoor start resembling Aamir Khan: somewhat jittery, uneasy, impatient and restless. The break slots between his various TV interviews are punctuated with mandatory cigarette breaks. The current persona of Ranbir Kapoor is a far cry from Ranbir Kapoor of last year or the year before that. Confidence, and a perpetual smile, have seeped into his body language, something that was missing till the time Ae Dil Hai Mushkil was declared a hit. So does that mean that success is the be all and end all? “Not at all. If you see any changes in me then it’s because of my failures. When I taste success, then my reaction is phew! This time got saved. Usually when failure hits you, it sort of sets your life in motion. You start thinking about your career, you get insecure. To be honest I don’t’ know what my existence is and as of now it is to be an actor,” says a pepped up Ranbir. When it comes to adjectives for this actor, it’s always a dilemma. The man often comes across as the whole package, an amalgamation of all that’s best. So should we be calling him Ranbir Kapoor, the actor, the producer or the superstar? “Of course I would like to be called an actor. I don’t think I am superstar but yes I am star. I get to work with directors like Anurag Basu. People are interested in my films, my life and my personal life so there is an interest in me but I would definitely like to be known as Ranbir Kapoor, the actor before anything else,” he says. His polished upbringing, and impeccable manners reflect in his soft voice. The usual tantrums one witnesses when stars are around are missing and instead one gets to meet a bundle of talent whose head and heart are in the right place. Once its revealed to him that this interview will involve no camera, like a typical college goer, Ranbir decides to shift the venue to the fourth floor smoking lounge of Disney’s swanky office. Though a non-smoker, his favourite ‘Dada’ is there to give him company. And the two in sight together brings me to my next question — if the jodi of Ranbir Kapoor and Anurag Basu is akin to the jodi of Martin Scorcese and Robert De Niro? 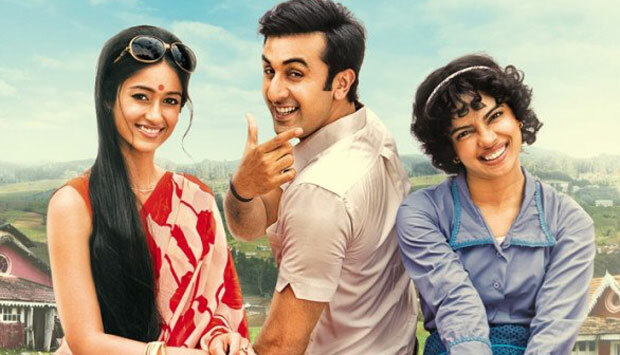 The last time the two came together; the end result was Barfi, a film that was all heart and carried no false notes. The camaraderie that Ranbir Kapoor and Anurag Basu shared during the Barfi phase looked genuine, and was smeared with the right amount of mutual respect of each other’s craft. And now they both are back with Jagga Jasoos. So is Anurag Basu addictive? Jagga Jasoos also marks the debut of Ranbir Kapoor as a producer. If the very first film takes more than three years in making, it’s bound to make any producer jittery and nervous. When asked if the unexpected delay was heartbreaking, he has a different take on it. If one were to take a close look at the poster, it’s apparent that under the producer credit, Ranbir’s name is mentioned before Anurag. Did he discuss this issue with Anurag? “Absolutely, I pointed this out to him and he said No. He said it would be Siddharth, Ranbir and then him. We had this conversation earlier and he was very clear about this. The Emergency of 1975 has mostly been used as a backdrop for tense, political dramas — notably high on the ‘gritty’, ‘realistic’ quotient. The latest film to have gone that route is Madhur Bhandarkar’s Indu Sarkar. But Milan Luthria’s Baadshaho, while set in the same milieu, goes down a different path. This is an out-and-out action thriller/entertainer, which eschews ‘gritty realism’ for quintessential Bollywood masala. The official teaser has been released by T-Series on its YouTube channel, and we start off with the Emergency being announced, with the country going into lockdown mode. Amid this, a bunch of six “badasses” (men and women) have decided to pull off a heist that could bring them untold wealth. 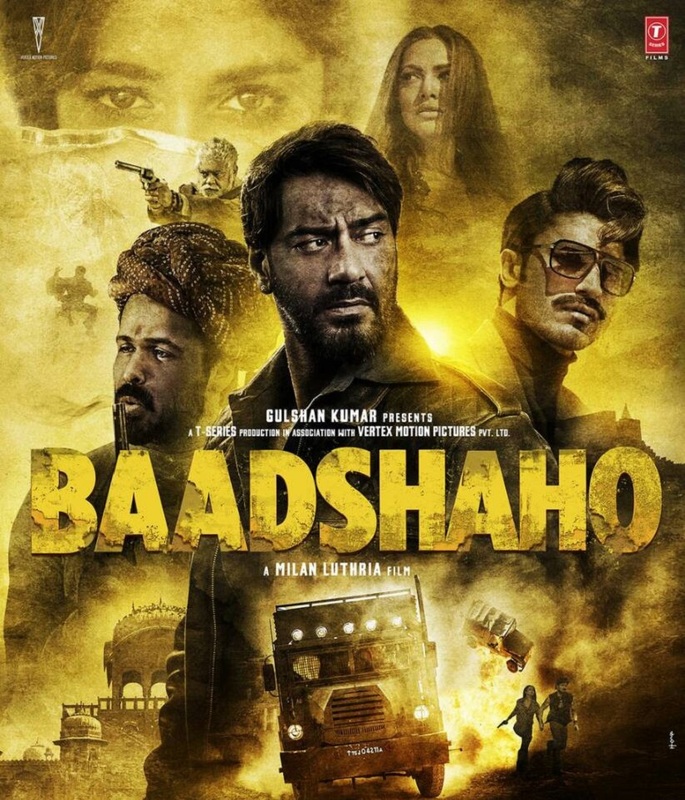 We’re introduced to the principal characters — Ajay Devgn, Emraan Hashmi, Ileana D’Cruz, Esha Gupta, Sanjay Mishra, Vidyut Jamwal — and vignettes of Rajasthan’s desert and glorious havelis, some high-octane stunts and dialoguebaazi that don’t really establish the plot of Baadshaho as such. It is believed that the film is based on Indira Gandhi’s orders to take over Jaigarh Fort (which was believed to be the hiding place for Raja Mansingh of Jaipur’s treasure — spoils of war from his campaign in Afghanistan during Emperor Akbar’s time) at the time of the Emergency. 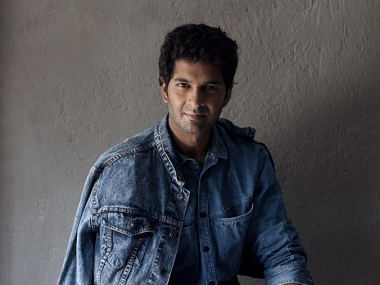 Actor Purab Kohli who will feature in a sub-plot of Nandita Das’s ambitious directorial project Manto, says he was always keen to work under her direction. Manto is a project on the life of celebrated Urdu author Saadat Hassan Manto. It features Nawazuddin Siddiqui in the title role, and Rasika Dugal essays his wife. Parts of the movie will reportedly recreate some of the writer’s most controversial stories, and Kohli will be seen in one of these. Talking about getting to work with Nandita again, Kohli said in a statement, “The first two films in my career had me acting with Nandita. Bas Yun Hi then Supari. After that, we also acted together for Onir’s I Am. “She and Farhan Akhtar are the only two actors I’ve worked with in three different films. And incidentally, they both are directors I would love to work with. Kohli will be seen playing one of the three men who set out to hire a prostitute and only realise when she shows up that she’s a child. What transpires is an uncomfortable yet innocent outing written by Manto, in his short story Dus Rupaya. There’s also a buzz that actors Divya Dutta and Ranvir Shorey have been roped in to bring alive in the movie, Manto’s Thanda Gosht which is set in 1947. Saif Ali Khan to be roped in by Netflix for upcoming web series based on The Secret Game book? Saif Ali Khan, who was earlier approached by director Kabir Khan for a web series titled The Forgotten Army based on Subhash Chandra Bose’s Indian National Army, has now been approached by Netflix for yet another web series, reports DNA. Saif Ali Khan. Image from Facebook. As per another DNA. report, the Netflix web series will be based on ‘The Secret Game: A Wartime Story of Courage, Change, and Basketball’s Lost Triumph’, a sports novel by Scott Ellsworth. For the uninitiated, the novel is a written account of a secret game that was played between teams from the North Carolina College for Negros and Duke University, in 1943. The book recounts the one game that changed basketball for America and also helped usher in a new nation altogether. The same report suggests that Khan is being considered to play coach McClendon, who originally trained the North Carolina College for Negroes’s basketball team. There is no confirmation from the streaming service or the actor yet. However, once the finances and dates are worked out between both the parties, the director of the web series will make a formal announcement, states the same report. Since sport will be the dominant aspect in the film, Khan will undergo strenuous physical training for the part. Khan is currently shooting for Chef, which is a remake of the much-loved Hollywood film by the same name. Chef will be in theaters on 6 October, 2017. The one festival the young men of Lucknow fear is Raksha Bandhan. For some reason, the girls of the neighbourhood are considered equivalent to sisters — a concept abhorrent to the testosterone-fuelled boys. This entire idea becomes the bane of Gattu’s life. The protagonist of Behen Hogi Teri, Gattu (Rajkummar Rao) is an average boy — below average at academics, a bit timid when it comes to standing up to his parents and with no future prospects to boast of. But the one thing he’s sure of is his fondness for his neighbour Binny (Shruti Haasan). Gattu and Binny’s homes are opposite each other on a narrow street. It’s a convenient set up for the two to meet. Several circumstances throw the romancing duo together, under the auspices of their approving families especially as Gattu is considered the ‘brother’ who will help Binny’s family during a crisis. There’s very little to this story written by Vinit Vyas and directed by Ajay Pannalal. Mostly it’s about Gattu needing to find the courage to stand up to Binny’s family — and his own — and declare his true feelings, which takes painfully long to happen. He just stands by and silently observes Binny’s engagement to NRI Rahul (Gautam Gulati) and allows a huge misunderstanding about her alleged affair with his best friend (Harry Tangri) to snowball. Post-interval, much of the action becomes about this latter plot. Ranjeet and Gulshan Grover appear as local thugs who respond to inter-caste romances with honour killings. If they stand on one side of the war lines, Darshan Jariwala, who plays Gattu’s father, stands on the other side, desperate to assert his authority in this neighbourhood. Initially there is enough nuance and situational comedy to carry the film. Rajkummar Rao, as always, is hugely watchable and extremely endearing as Gattu. There are a couple of charming scenes like the one outside Binny’s college when Gattu gets rejected, and later when he gets drunk and blames all the Shah Rukh Khan heroes named Rahul for always winning the girl. Had Rao had a more skilled co-star, the chemistry might have been more believable rather than appearing ‘staged’. In fact the pitching of the performances is the second issue with the narrative (besides the wandering script). Where Rao, Ranjeet and Ninad Kamat (as Binny’s older brother) are steady, Jariwala, Gulshan Grover, and Harry Tangri (as Gattu’s bestie) are loud and jarring. What the writers (dialogue by Sanchit Gupta) and the director do get right is the idea of how ‘rakhi’ and the concept of sisterhood is a terrible manipulation for young people unrelated to one another. They also capture many subtleties of non-metro India and the preoccupations of local communities. Other pluses are a clever title, good production design and costumes, some finely edited scenes and yet another earnest performance by Rajkummar Rao. But the introduction of subplots (such as the daily ‘jagran’ where Gattu dresses as Shiv, or Gattu’s father’s obsession with becoming president of the neighbourhood and the vengeance seeking father and uncle) are diversions that make you restless. It wouldn’t be wrong to say that after the Dangal and Baahubali mania, the next film to do justice to the term “most-awaited” would be Salman Khan and Kabir Khan’s Tubelight. There’s been much buzz about the film. In Tubelight, set against the backdrop of the Indo-China war of 1962, Salman plays a do-gooder who is very close to his brother. He’s a little slow, and is therefore called a Tubelight by everyone. The film also stars Chinese actress Zhu Zhu and Sohail Khan. The film is a remake of Little Boy. Given the massive success of two big Bollywood films globally, Dangal and Baahubali, it is being touted that bigger opportunities have opened for future Bollywood films globally. 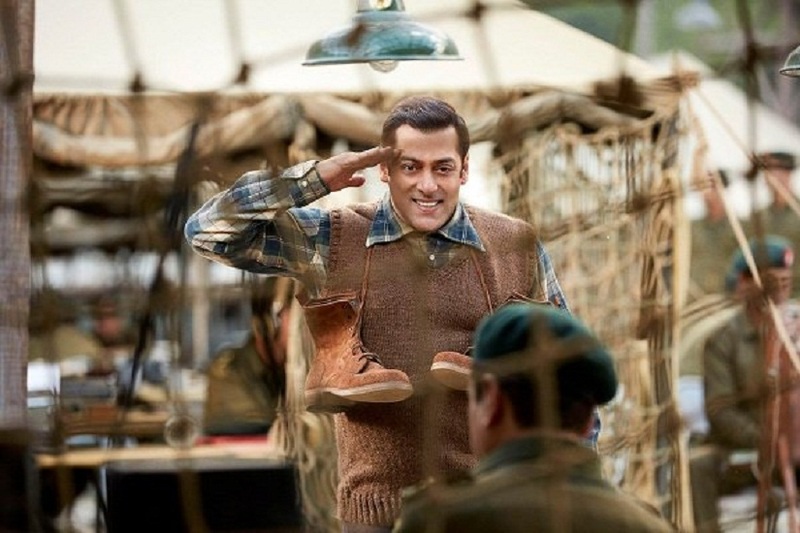 DNA reports that Salman is planning a grand release in China and premier for Tubelight, and since the film already has a Chinese connect (it has multiple Chinese actors), the box office collections are expected to sky rocket. With Zhu Zhu being a big name, trade experts are predicting 700-800 crore collections from China itself. And so, the big question on everyone’s mind is, how much of this profit will Salman Khan be pocketing for himself? A source from the crew of Tubelight has revealed that the film has been made at a budget of Rs 170 crore, and Salman Khan has taken a signing amount of Rs 60 crore. This is due to the fact that all his films bag satellite rights worth Rs 60 crore, which is regardless of its box office fate. It was further revealed that Salman will also be bagging half the profits of the film. This could also be because he is the producer on the film, as Tubelight is jointly produced by Kabir Khan Films and Salman Khan Productions. (Please note that these figures are not verified by the makers of the film). Bank Chor, the new comedy from Y-Films, the youth wing of Yash Raj films, has been steadily releasing songs from its OST. The fourth song from the film has now been released as well. 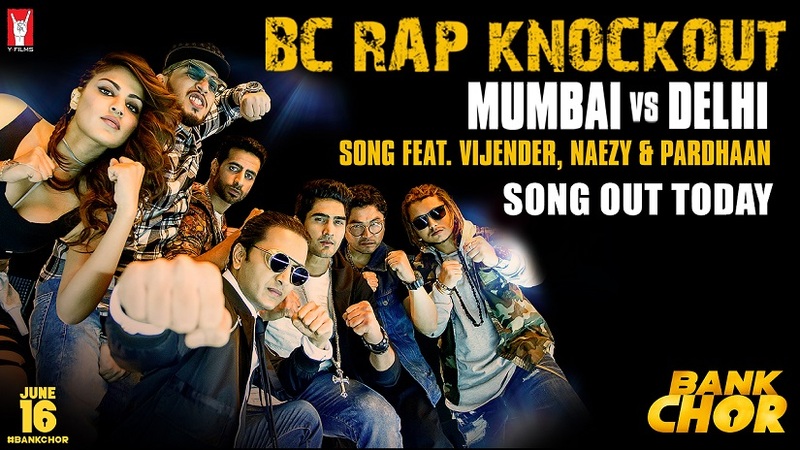 Titled ‘BC Rap Knockout: Mumbai vs Delhi‘, the track takes the form of a rap battle between two teams — one from Delhi and one from Mumbai. The song is a musical bout with both teams throwing barbs at each other about their respective cities, but done as banter through rap punches. Olympian boxer Vijender Singh leads the Delhi side in the rap battle whereas Bank Chor lead actor Riteish Deshmukh captains Team Mumbai. ‘BC Rap Knockout‘ is a thumping, energetic number. Incidentally, the theme of the song reflects one of the running gags in the film — Riteish’s character Champak, who hails from Chinchpokli, is shown constantly squabbling with his sidekicks Genda and Gulab, who hail from NCR, about which is better: Mumbai or Delhi. Hear the song here, when it releases. Behen Hogi Teri has been granted a U/A certificate by the Central Board of Film Certification according to an Indian Express report. 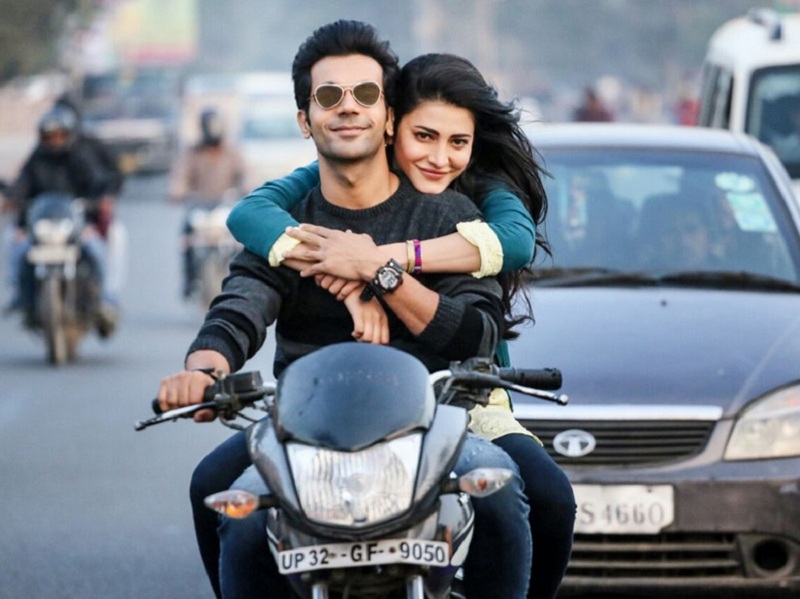 Firstpost had earlier reported that the film, which has Rajkummar Rao and Shruti Haasan in leading roles, was stuck in a controversy over Rao’s Shiva avatar. The scene has not been cut out of the film either, as per the same IE report. 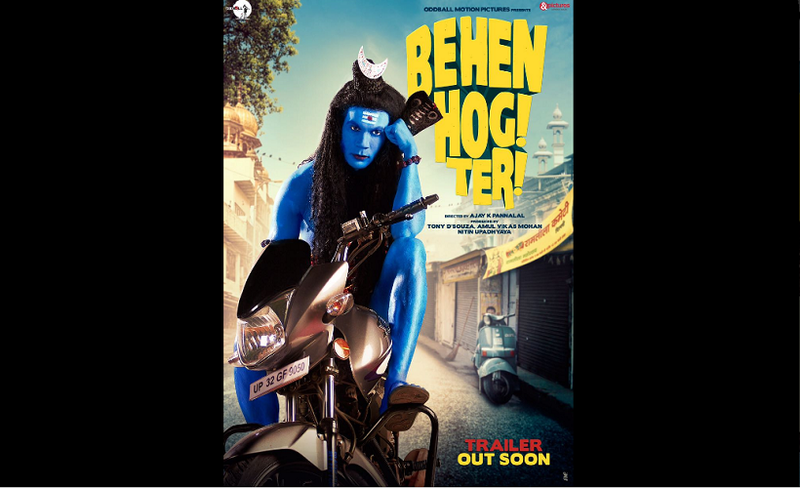 In one of the posters of the film, Rao could be seen in Lord Shiva’s avatar sitting on a silver bike. Soon after the release of the poster, the director of the film Ajay Pannalal and producer Tony D’Souza were arrested for hurting the sentiments of certain religious groups. Both of them are currently out on bail. The producer of the film said, in a statement given to Indian Express, that the CBFC has been completely fair with the film and that they had nothing against the body. He added that the people who were earlier protesting against the poster should respect the decision of the government-appointed body. There are rumours of the CBFC recommending certain scenes to be cut in the film, however, the producer dismissed the rumours in the same Indian Express report. He maintained that the rumours were baseless and no scenes were cut from the film. 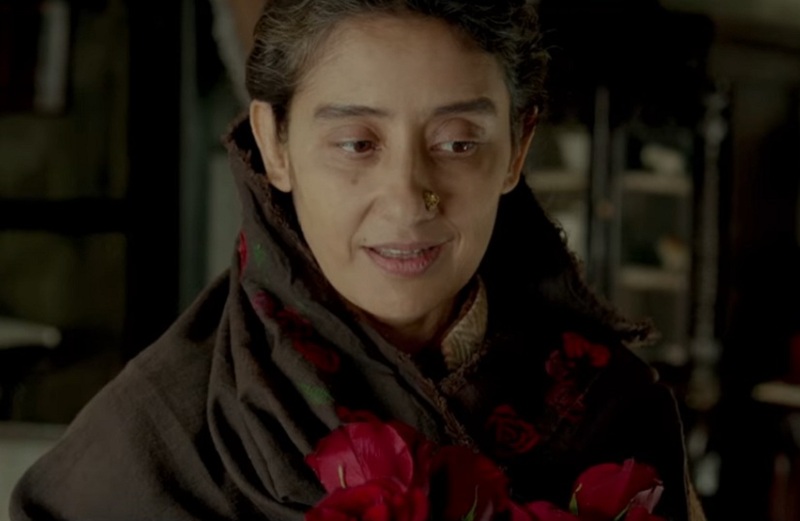 After a five year break from arc lights, Manisha Koirala, who makes a comeback with coming of age drama, Dear Maya, was nervous about facing the camera. Manisha has worked with some of the biggest directors back in the 90s like Mani Ratnam (Bombay, Dil Se), Sanjay Leela Bhansali (Khamoshi), Vidhu Vinod Chopra (1942, A Love Story), and now she chose to make her comeback with young director, Sunaina Bhatnagar, who has assisted Imtiaz Ali for six years. “I first read the script, I loved it instantly and so I decided to meet the director. When I met her, I knew that she will make a good film. Sunaina had made a good character sketch. She was very clear about the character’s psychology. It is a feel good film, and that is another reason it attracted me,” says Manisha, who’s working with a woman director for the first time in her career. Interestingly, while her character in the film is shown being a victim to the pranks of two young girls, Manisha says, that she was a big time prankster in her hey days. “I have played many pranks on people,” she laughs. After Dear Maya, Manisha is looking forward to Dibakar Banerjee’s Bombay Talkies 2 which has been made in small segments like the previous part. Then there is Sanjay Dutt biopic, “in which I play Nargisji. I have a miniscule yet an important role. It is like special appearance,” she says. “I have altogether worked on four films this year and played some interesting characters. Next year I have been offered two to three good scripts so let’s see how that progresses,” says Manisha. Coming to the Dutt biopic, one wonders if she shared some notes with Sanjay Dutt particularly since both of them have been paired together in over half a dozen movies in the 90s. “Sanjay and I are like buddies but we haven’t spoken as yet about me playing Nargis ji,” she smiles. Even as Manisha sounds awestruck by the work of her contemporaries like Sridevi and Madhuri Dixit, she can’t stop praising some of the current lot of actresses. “Look at Alia, Kangana and Deepika’s work, they are doing more meaningful roles now. I saw Udta Punjab, and I don’t know much about the film but I remember Alia’s work. She leaves an impact. I saw Queen years back, Kangana left an impact,” says Manisha. However, she is aware that the dream roles may not come to her easily at this juncture. Recently Raveena Tandon had a funny take on the sequel to Andaz Apna Apna; she said that if the slapstick comedy was to be made today, she and Karisma may feature in the sequel only as a photograph: “You know how the sequel will begin? Both Lolo and my pictures would be hanging on the wall with Aamir and Salman crying that they have lost their wives. Cut to the next scene, they will be seen running after 21 year old girls”. “Manisha, who has worked with all three superstars, continues, “What is not natural is that these three Khans have still managed to survive. After being in the industry for 10 or 20 years, it is natural that you go down and some other energies, talent come in and they follow the same graph. But Salman, Shah Rukh and Aamir are still on top. There is something god gifted in them. Nobody can replace them. It is a unique feature. We should admire their staying power, rather than feel bad.